Amelie’s is a French bakery and cafe offering award-winning pastries and desserts, soups, tartines and sandwiches. 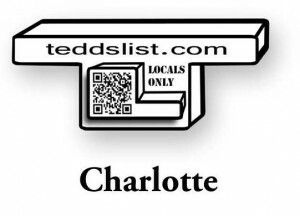 Open 24 hours, 7 days a week, 365 days a year,located in historic NoDa, an arts district north of uptown Charlotte. BW Sweets Bakery™ is a new Full-Service Bakery available for all of your Custom Cakes, Custom Desserts, Custom Pastries & your everyday "grab-n-go" needs.Located in Lake Norman (Cornelius NC). Offering all types of cakes for dessert,weddings, baby/bridal showers, birthdays, religious events or any other occasion and doing floral arranging and decorating for your special occasion - bouquets, corsages, pew, candleabra decorations and more. Deb's Sweet Cakes is owned and operated by Debbie Manwarren, located in Charlotte NC.Debbie enjoys creating custom cakes and desserts for her customers and making a cake that will be enjoyed and remembered by all. Offering wedding cakes, specialty cakes, traditional cakes, cupcakes, brownies and desserts and more to perfectly suit your special occasion, located in Conlan Cir of South Charlotte. Full servie bakery featuring of signature crumb cake, cookies, cakes pastries and bread. Edible Art of Charlotte is a Family owned cakery which offers scratch made cakes, cookies, bars, brownies and more, located in Selwyn Avenue of Charlotte. Great Harvest Bread offers the best-tasting and the most nutritious daily made fresh bread without preservatives in Charlotte, located in King's Court and Piper Glen of Charlotte. Honey Butter Bakery is a scratch made, family owned dessert company in Charlotte, N.C. We are serious about what we do! Love, passion, and creativity in every bite. Although, well-known for cheesecakes we provide so much more. Offering all kind of cakes, like wedding cakes, baby shower‏ cakes, baptism cakes, bridal showers cakes, birthday cakes and more, located in South Blvd. of Charlotte. Katiebelle's Cakes creates custom 3D cakes, wedding cakes, birthday cakes, cupcakes, mousse cakes, pastries, and more with string work, lace work, handmade gum paste flowers, intricate piping techniques, icing appliques, stencils, hand painting and more. Luca's Confectionery Bakery is operated out of Indian Trail, North Carolina. We offer fresh baked goodness made daily and delivered straight to you. Currently, we deliver to the greater Indian Trail and Charlotte area. Nona's Sweets is a family-owned and operated bakery in Charlotte's University area, proudly offering a variety of freshly-made cakes, cupcakes, pastries, cookies, brownies, & chocolates six days a week! Nova's produces European crusty bread with a soft inside. Bakers blend a variety of grains, seeds and herbs into traditional recipes to create breads with the unique and unforgettable flavors of old Europe. Offering a always-fresh, all natual, from-scratch delicious baked goods, located in E. Woodlawn Road, Charlotte. At SAS Cupcakes, we specialize in sweet sensations for all occasions! SAS Cupcakes are baked from scratch all-day, everyday, and will have you craving more. We do not use any trans fats or preservatives in our cupcakes, so they're good for you! Sinfully Sweet is located in the New Tower Place Shopping Center. We have been in business for over 10 years serving the Greater Charlotte and surrounding areas.We offer custom bakery for any occasion; Weddings,Special Events,Holidays,Birthdays and more. Based in Charlotte, North Carolina, Specialty Cakes is owned and managed by Audrey McDonald who has been producing her wonderful creations for more than twenty years. Using the finest of English cake designing and decorating skills. Sunflour Baking Company was started by Marion, Johannah & Debbie. A family team that loves to cook and experiment in the kitchen!scratch + local + small batchSunflour is dedicating to creating fresh baked goods every day from scratch. The Big View Bakery is known for baking delectable desserts, custom cakes, cookies, home made breads and pies. The Blushing Bakeshop loves creating gorgeous and delicious gourmet cupcakes, cakes, cakepops, cookies, brownies and many other sweets & treats. We also offer a unique line of gifts and very special baking products for those times. The King’s Bakery… NOW SERVING BREAKFAST! Monday – Saturday, 7:00am until… It has been our dream since opening The King’s Kitchen over two years ago to create a bakery that will allow us to expand our efforts to raise money to feed the poor. Since 1995, Tizzerts offers truly delicious Southern treats: mouth-watering cakes, award-winning cupcakes, rich and heavenly brownies & bars, as well as moist old-fashioned teacakes and pound cakes!